If you run a business, teach a class, or in general have an opinion about anything, you’re going to get emails wanting more of the you-juice. Here’s the trick: you can answer emails like this in under 30 seconds. That’s right. Just like Emily Post said you should never use. But guess what, Ms. Post? We are busy people these days and have apps and widgets and extensions that save our freakin’ lives (if not at least some minutes). Canned responses are available on most email platforms. As you many know if you’ve been around here for a second, Gmail is my fav, so that’s what we’re talking about today. Gmail has a beautiful tutorial on how to make it all happen, so grab that here. If you get the same email more than twice in a month, you need a canned response. Not optional. 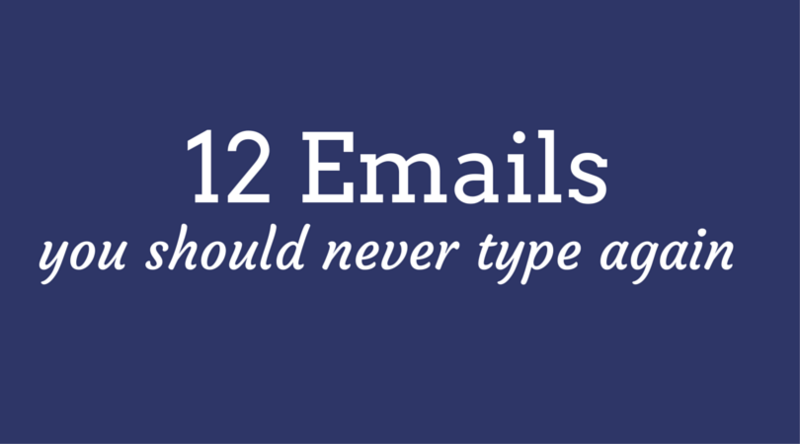 Want to know 12 emails YOU never have to type again? No Thanks – as in, thanks for thinking of me but my schedule is super full right now and I can’t commit without skipping meals or sleep (which is non-negotiable). Useful in many situations. Techy Support – If you get asked the same questions to troubleshoot your membership site, sales page, or anything else, #1 – get that info over to your tech guru, #2 – create a canned response with the details of how they can fix it. Mentorship – Will you mentor people? Give your advice out to a select few or none? Let them know! Schedule Reminder – If you find yourself waiting for people to show up for your meetings or calls, setup a meeting reminder canned response and send them out a day or two in advance. Your Programs or Products – If your offerings answer questions you get regularly, create a response with links to those pages on your site where they can learn more about it. Conference Call Details – You know them, but not everyone else does. Can it. Contractual Details – Always telling people they need to initial each page and make sure they sign and date at the end? Never type that again. Directions – Give directions to your office once. It’s always the same. Invite to Affiliate – Have an affiliate program for your amazing offerings? Send a canned response to everyone you want to take part. So there you have it. Minutes of your day saved! But wait – do you want to have those responses pre-written and READY TO GO? Enter your name and email below to get some steal-able swipe copy created just for you! Enter your email address below and I'll send you easy to use swipe copy you can copy/paste into your own canned responses.